Datebook: inside cover and stickers. Orange wrappers. 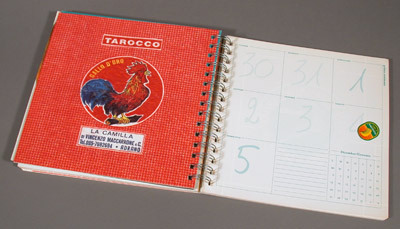 Datebook for 1997. GrafCo3 and GrafCoSF. Datebook for 1997. 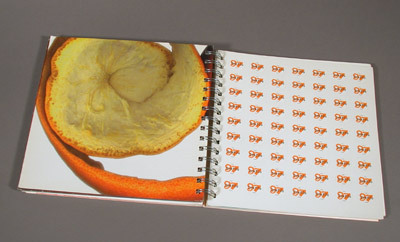 Each left page in this planner shows an orange wrapper collected on various trips to local farmer's markets. 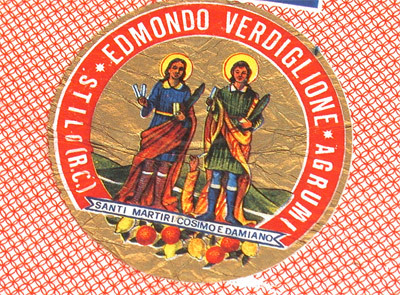 A separate page includes small "fruit" stickers with the GrafCo logo. Each vernacular design is reproduced at actual size. Wrappers: collection of Clara Rota. Art direction: Mauro Panzeri (grafco3.com).